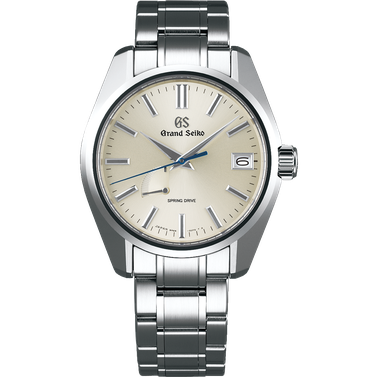 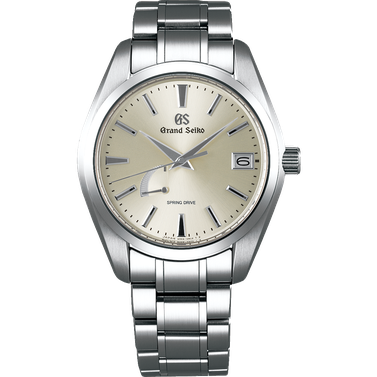 Our company unveiled Spring Drive in 1999, but its lack of a sufficiently effective automatic winding mechanism and 72-hour power reserve prevent its adoption in the Grand Seiko line. 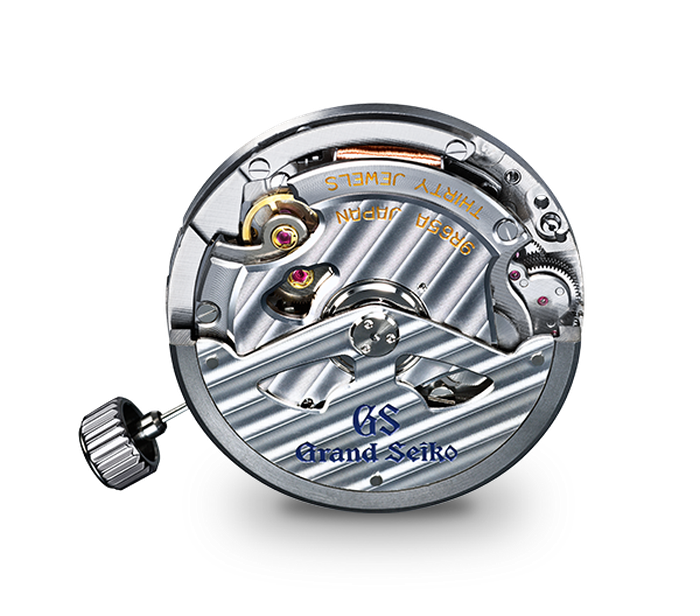 After a further four years of development, the first Grand Seiko 9R Spring Drive was created. 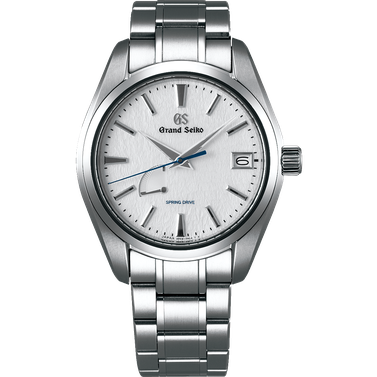 The winding system and drive time were improved from the existing 48-hour manual winding system to an automatic 72-hour power reserve. 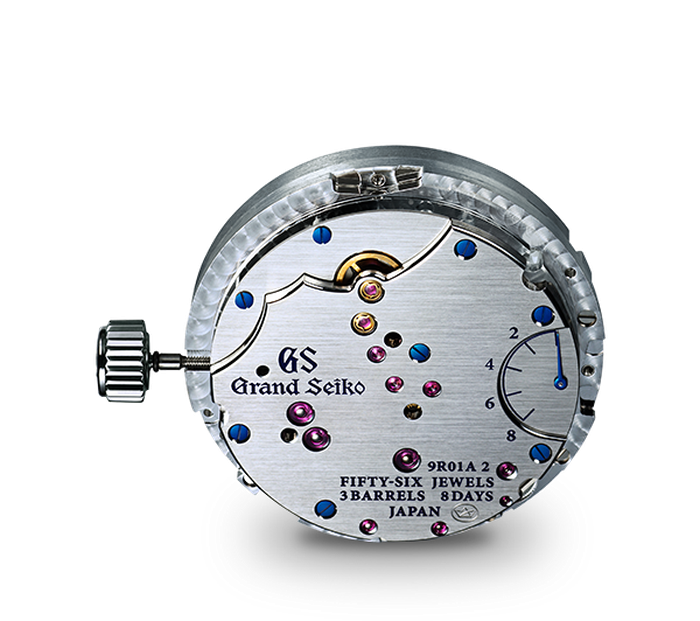 The automatic winding mechanism uses Seiko's original Magic Lever mechanism developed in 1959, but with improved productivity, maintainability, and durability to enhance winding efficiency. 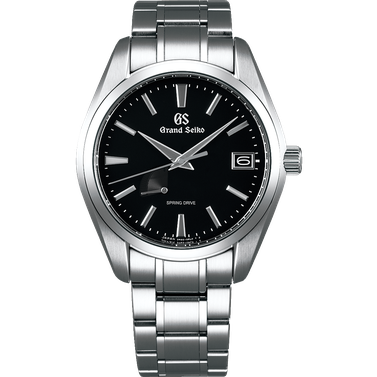 Caliber 9R65 is currently the most standard of the 9R Spring Drive movements, and is used in many Grand Seiko models. 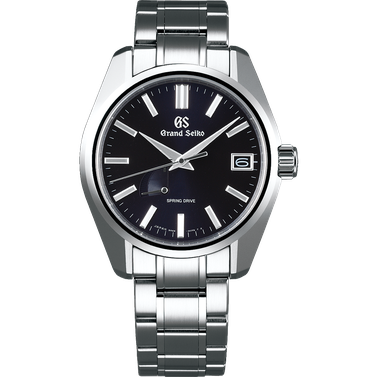 What makes 9R Spring Drive special? 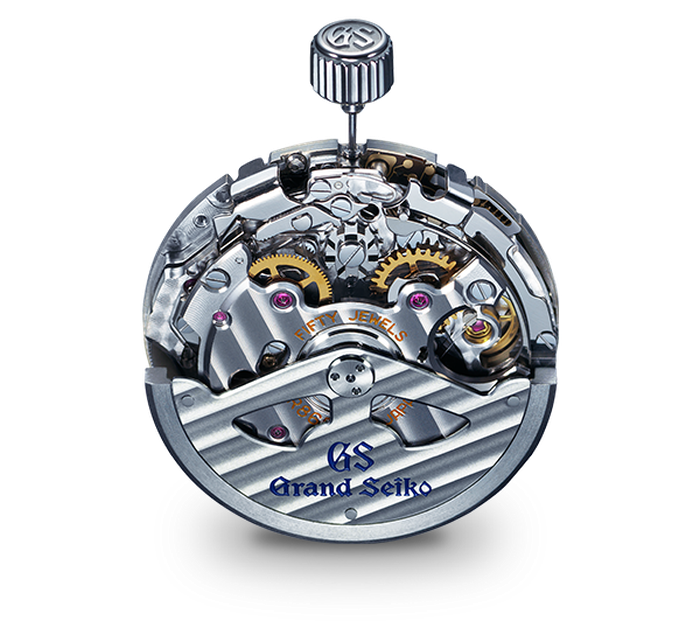 Spring Drive, one of the great innovations in modern watch making history, regulates a spring-driven movement with state-of-the-art electronic technology that functions without batteries or other external power source. 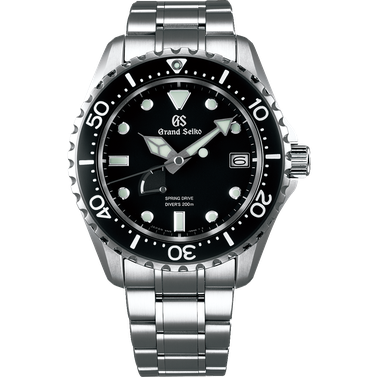 Its sole power source is a mainspring, which drives a series of gears. 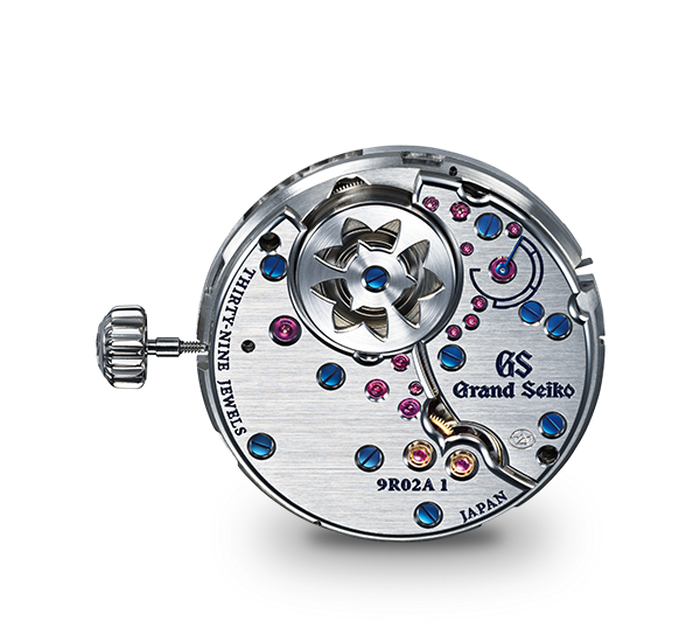 A rotor, connected to the end of these gears, generates a small electrical charge that activates an electronic circuit and quartz oscillator. 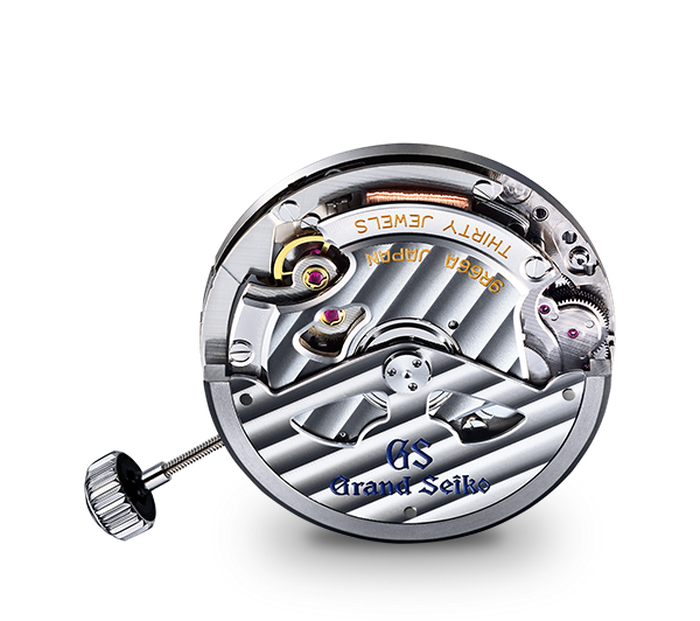 Its accuracy is unprecedented for a watch wound by a mainspring. 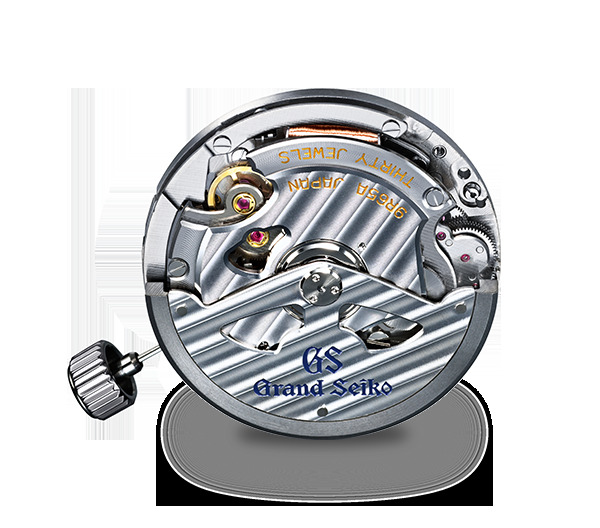 The development of the 9R Spring Drive movement was possible only because Grand Seiko is one of the few manufacturers with expertise in both mechanical and electronic watches.